The term "Classical Realism" first appeared as a description of literary style, as in an 1882 criticism of Milton's poetry. Its usage relating to the visual arts dates back to at least 1905 in a reference to Masaccio's paintings. It originated as the title of a contemporary but traditional artistic movement with Richard Lack (1928–2009), who was a pupil of Boston artist R. H. Ives Gammell (1893–1981) during the early 1950s. 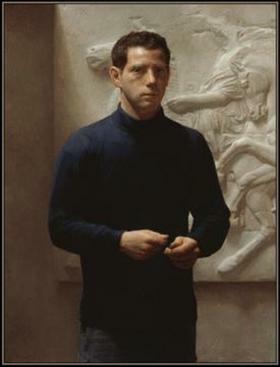 Ives Gammell had studied with William McGregor Paxton (1869–1941) and Paxton had studied with 19th-century French artist, Jean-Léon Gérôme (1824–1904). In 1967 Lack established Atelier Lack, a studio-school of fine art patterned after the ateliers of 19th-century Paris and the teaching of the Boston impressionists. 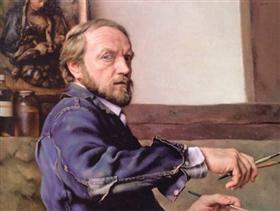 By 1980 he had trained a significant group of young painters. In 1982, they organized a traveling exhibition of their work and that of other artists within the artistic tradition represented by Gammell, Lack and their students. 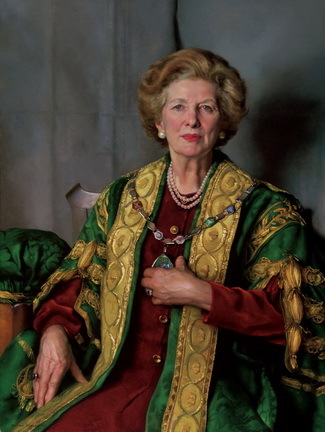 Lack was asked by Vern Swanson, director of the Springville Museum of Art, Springville, Utah, (the exhibition's originating venue), to coin a term that would differentiate the realism of the heirs of the Boston tradition from that of other representational artists. Although he was reluctant to label this work, Lack chose the expression "Classical Realism." It was first used in the title of that exhibition: Classical Realism: The Other Twentieth Century. The term, "Classical Realism", was originally intended to describe work that combined the fine drawing and design of the European academic tradition as exemplified by Gérôme with the observed color values of the American Boston tradition as exemplified by Paxton. In 1985 Atelier Lack began publishing the Classical Realism Quarterly, featuring articles written by Richard Lack and his students to educate and inform the public about traditional representational painting. 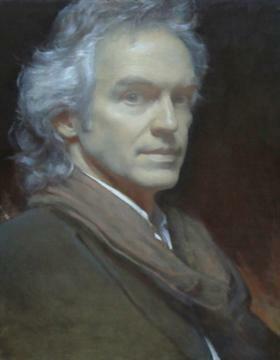 In 1988 Lack and several associates founded The American Society of Classical Realism, a society organized to preserve and promote fine representational art. The ASCR functioned until 2005 and published the influential Classical Realism Journal and Classical Realism Newsletter. In a separate vein, another major contributor to the revival of traditional drawing and painting knowledge is the painter and art instructor Ted Seth Jacobs (born 1927), who taught students at the Art Students League and the New York Academy of Art in New York City. Their lineage is rooted in the Académie Julian, the Golden Age of Illustration in New York, and the School of Paris. In 1987 Ted Seth Jacobs created his own art school, L'Ecole Albert Defois in Les Cerqueux sous Passavant, France (49). Many of Jacobs' students such as Anthony Ryder and Jacob Collins became influential teachers and acquired their own student following. Classical Realism is characterized by love for the visible world and the great traditions of Western art, including Classicism, Realism and Impressionism. The movement's aesthetic is Classical in that it exhibits a preference for order, beauty, harmony and completeness; it is Realist because its primary subject matter comes from the representation of nature based on the artist's observation. Artists in this genre strive to draw and paint from the direct observation of nature, and eschew the use of photography or other mechanical aids. In this regard, Classical Realism differs from the art movements of Photorealism and Hyperrealism. Stylistically, classical realists employ methods used by both Impressionist and Academic artists.